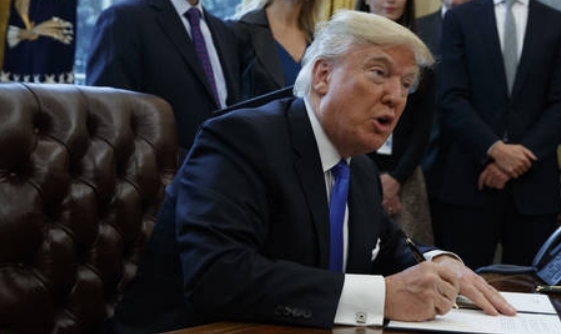 Native American tribes in Montana and South Dakota sued the Trump administration today, claiming it approved an oil pipeline from Canada without considering potential damage to cultural sites from spills and construction. Attorneys for the Rosebud Sioux tribe and Fort Belknap Indian Reservation asked U.S. District Judge Brian Morris in Great Falls, Montana, to rescind the permit for the Keystone XL pipeline, issued last year by the U.S. State Department. 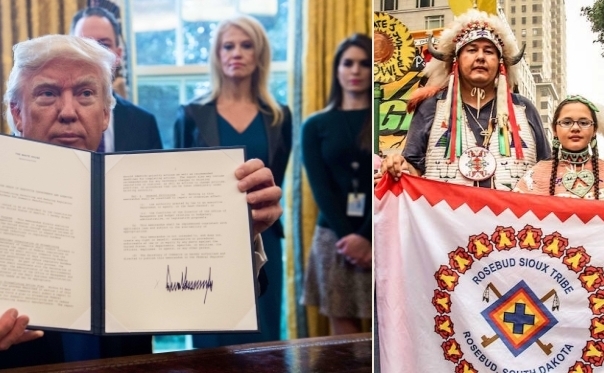 The tribes argue President Donald Trump brushed aside their rights and put their members at risk when he reversed President Barack Obama’s rejection of the $8 billion TransCanada Corp. project. The line would carry up to 830,000 barrels (35 million gallons) of crude daily along a 1,184-mile path from Canada to Nebraska. The route passes through the ancestral homelands of the Rosebud Sioux in central South Dakota and the Gros Ventre and Assiniboine Tribes in Montana. 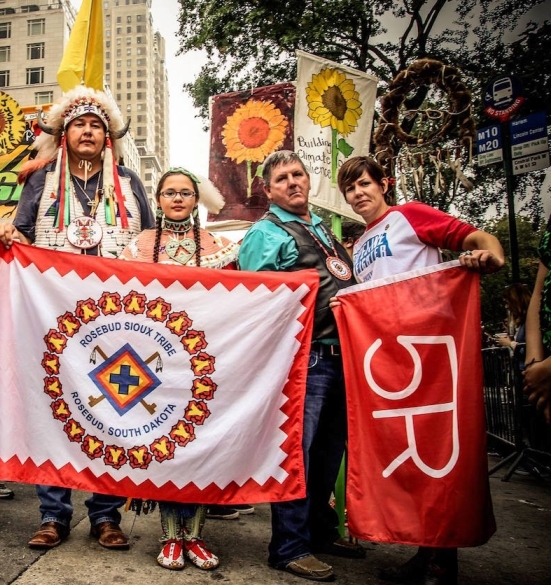 “The tribes are talking about cultural sites, archaeological sites, burial grounds, graveyards — none of that has been surveyed and it’s in the way of the pipeline,” said Natalie Landreth, an attorney with the Native American Rights Fund, which is representing the tribes. The tribes said a spill from the line could damage a South Dakota water supply system that serves more than 51,000 people including on the Rosebud, Pine Ridge and Lower Brule Indian Reservations. An existing TransCanada pipeline, also called Keystone, suffered a spill last year that released almost 10,000 barrels (407,000 gallons) of oil near Amherst, South Dakota. State Department spokeswoman Julia Mason said the agency had no public response to the lawsuit. The department has jurisdiction over the pipeline because it would cross the U.S.-Canadian border. Responses to "Native Americans say Trump illegally approved oil pipeline from Canada"